Mercedes and BMW have been rivals in the luxury car market for decades. Both carmakers have built a reputation of offering world-class cars with attention to detail. It can be challenging making a decision on which of the car maker to purchase because the cars offer almost similar features. Your budget will be a key determining factors as well as technological features like hybrid and fuel efficiency. Bavarian Motor Works produces BMW while Daimler AG produces Mercedes. BMW produces Luxurious saloons, SUVs, Sports cars, the luxurious limousine 7 series, hybrid versions and Hatchbacks. Mercedes has a similar set of cars with the addition of trucks, vans, buses, station wagons, SUVs, a pickup and smart cars. Each of the car brands has faithful followers who are reluctant to switch the two. Before the arrival of Mercedes, there was no worthy opponent to the BMW. BMW has distinguished itself in terms of fuel efficiency while Mercedes is often associated with class and luxury. Both cars handle well and come with powerful engines. When measuring the quality of material used in the interior design you will find some similarities between the car makers. But, Mercedes has a slight edge in offering a posh interior loaded with the latest gadgets. This has pushed the price of some models above those of the BMW. The S-Class has built an outstanding reputation in terms of safety features. BMW has better interiors for their luxurious brands – especially the 7 series but this will depend on the model you are driving. Insurance premiums for luxury brands tend to be higher than most cars. 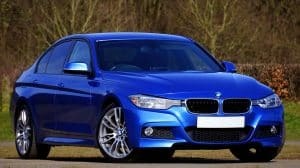 When you compare the BMW and Mercedes you will notice that BMW spare parts tend to be more expensive and this causes a rise in insurance premiums. It is also harder to find some of the spare parts in the BMW. Both cars are reliable and you should drive a new model for the next five years without any spare parts change. Mercedes has adopted a lot of modern technology and this means it will take you some years before you go for a major service change. With a BMW it does wear more during the initial years and leads to an increase in the costs of spare parts. The BMW is considered to be lighter than the Mercedes and this makes it offer a better driving experience especially when navigating corners. Things get better in the BMW sporting versions which come with better manual shifters than the Mercedes. Mercedes has larger engines and this makes them heavier while being fuel inefficient. For both car, models expect to spend 40,000 dollars for the entry level models and more than 150,000 dollars for high-end models. Overall Mercedes models tend to be more expensive than their BMW counterparts. It is very important that when choosing a car you have a variety of options to choose from. This ensures that clients unique tastes and preferences are taken care of. Both Mercedes and BMW have a wide variety of car models to choose from. 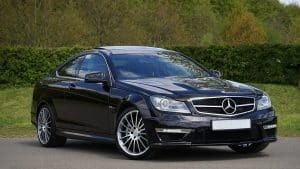 When it comes to the personal cars section Mercedes has the C-class, E-class, S-class and the Maybach. Each of the car models offers numerous customization options – from the tint, tires size, seat options to rims. BMW offers the 3-series, 5-series and 7-series; each model has a corresponding Mercedes competitor. BMW wins in this round as it offers additional car models through their M line, I line and Z4 series. Mercedes has done well in their commercial section through a series of trucks, vans and buses. What has stood out for the Mercedes and BMW car series is the use of innovative technologies in all their car models. Technology helps you access all the car information in one easy to use the screen. In the luxury car market, the car that offers the best technological gadgets wins the day. Mercedes has stood out with its mbrace system technology. The system is responsible for most of the car features like connectivity, security, entertainment and safety. The S-class model has won several awards for being one of the safest cars in the world. BMW has a head up console that controls most of the car features. The console can be controlled through the iDrive or voice controlled commands. In this round, Mercedes has a slight edge over BMW. When it comes to safety the Mercedes is in a class of its own. That does not mean that BMW cars are less safe, they are due to their stylish design and use of technologies like blind spot monitoring and lane keep assist. But, the biggest advantage of owning a Mercedes Benz is its use of PRESAFE technology. The technology applies brakes to required areas the moment you are faced with an emergency. During the night you have the Night view assists checks in and you are able to navigate your car through corners and avoid hitting unseen obstacles. Many car review experts have given the Mercedes S-class many positive reviews and you should feel safe driving one. Both car models come equipped with the best air bags in the industry. Both cars come equipped with high-performance engines. The BMW small engines offer reliability due to the cars lightweight design. Customers are spoilt for choice due to the numerous car options. BMW stand out with the 3-series, 4-series, M-class and their X-5 range of SUVs. For the Mercedes, their CLS class is one of their best performing sedans in the market. One of the biggest benefits of choosing a BMW or Mercedes is that the cars are reliable. It will take several years before you start shopping for spare parts. It is a hard choice choosing between the BMW and Mercedes. Each car brand offers consumers a wide range of choices when it comes to car models. The cars are high performance and come equipped with the latest technologies and safety features. Overall, if you are looking for a car that oozes with class then go for the Mercedes but if you are looking for superior handling and performance then go for the BMW.